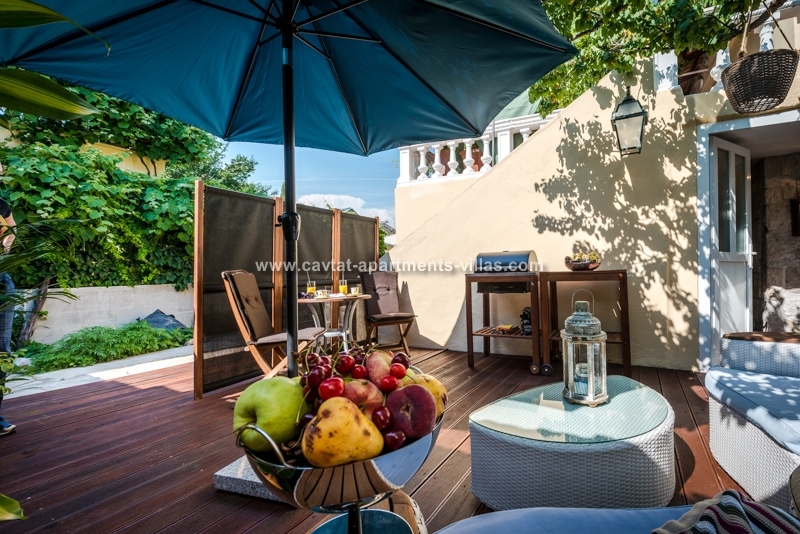 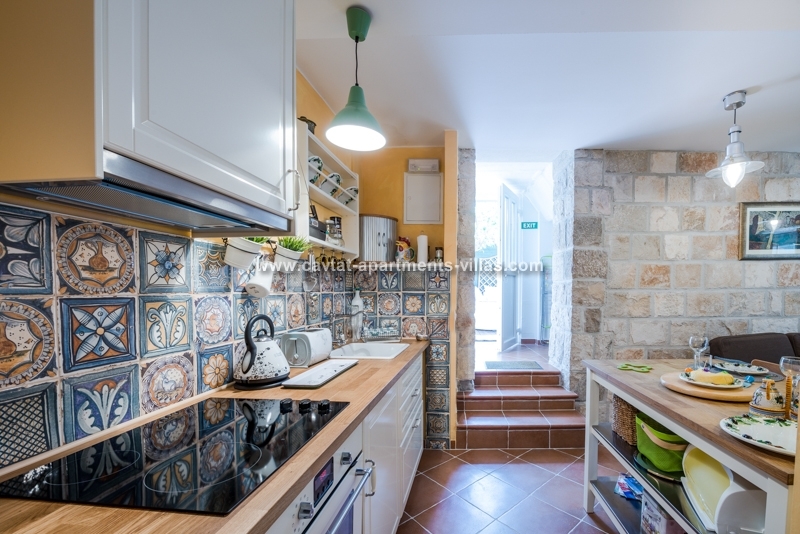 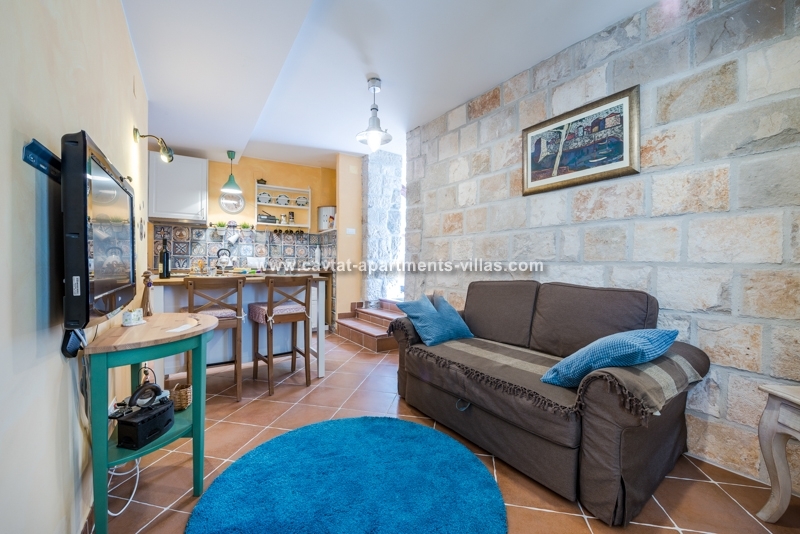 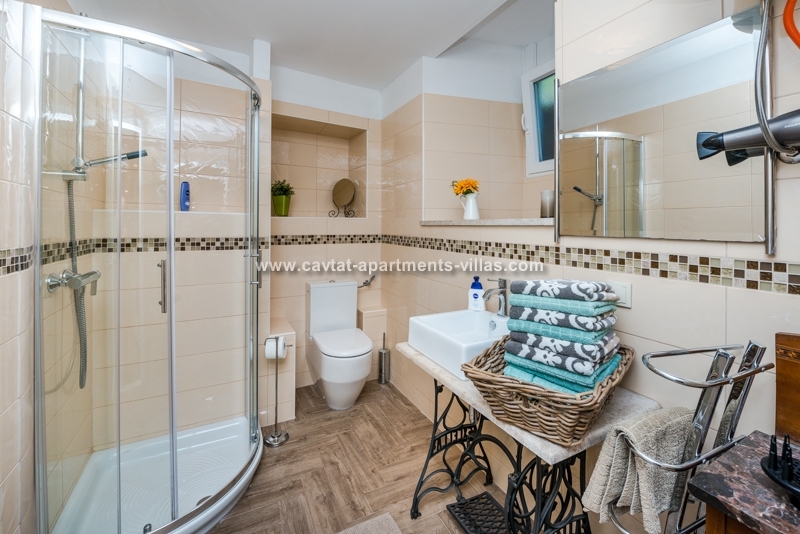 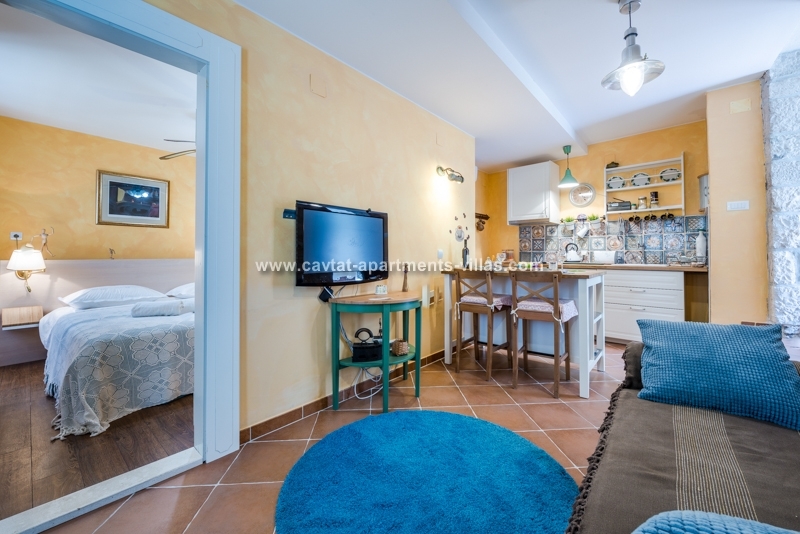 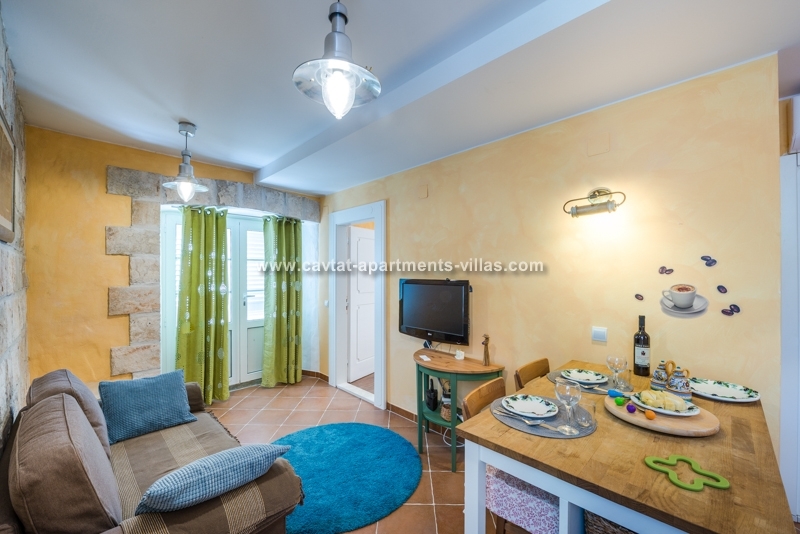 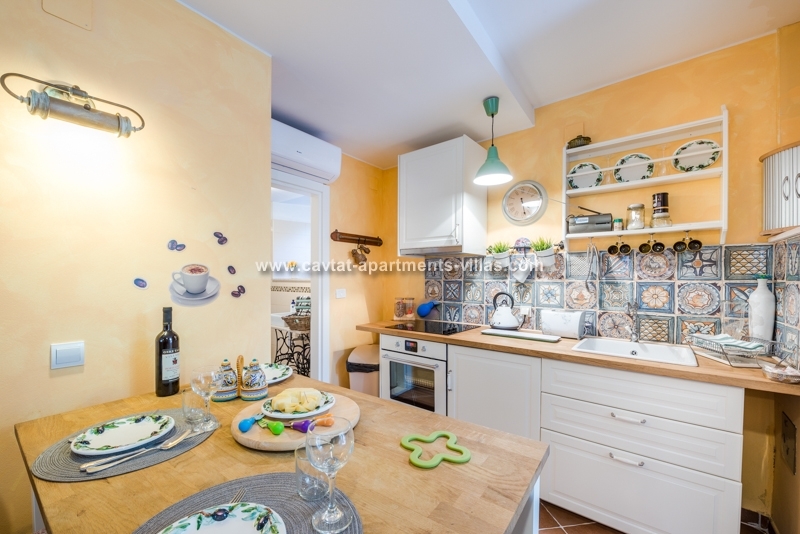 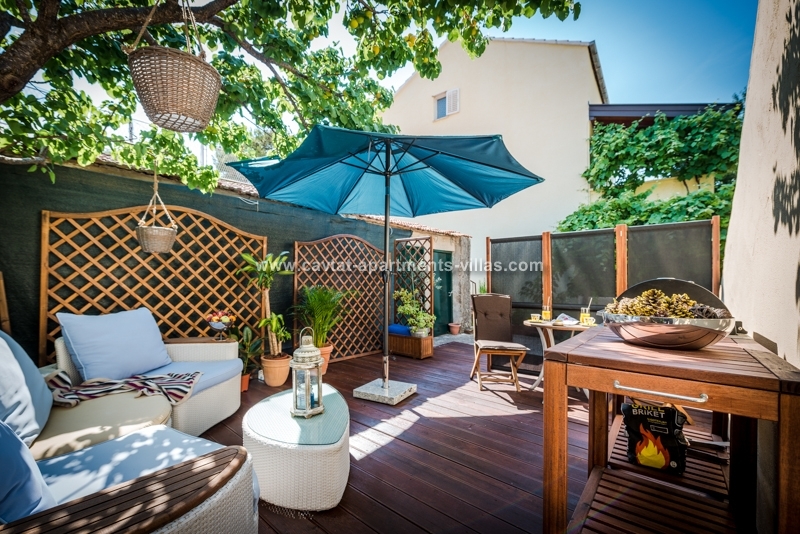 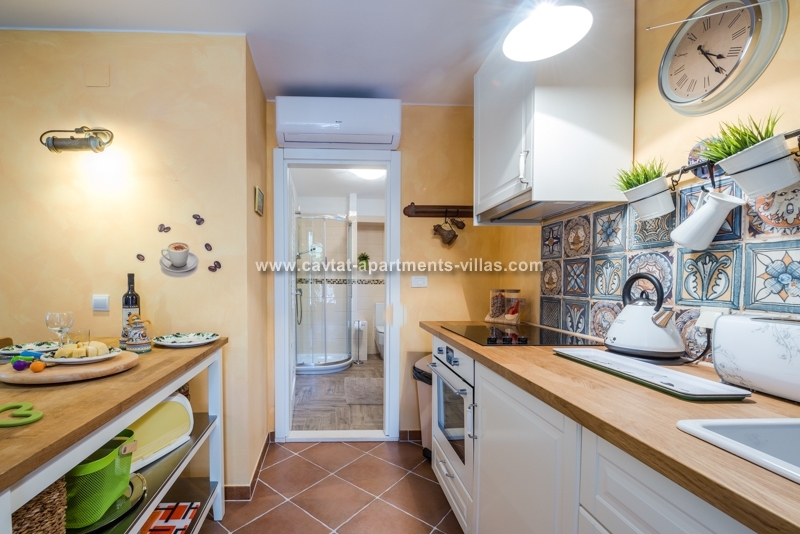 This modern central apartment is situated in a quiet street just above the old town, from where you can reach the main promenade in only a two minute walk. 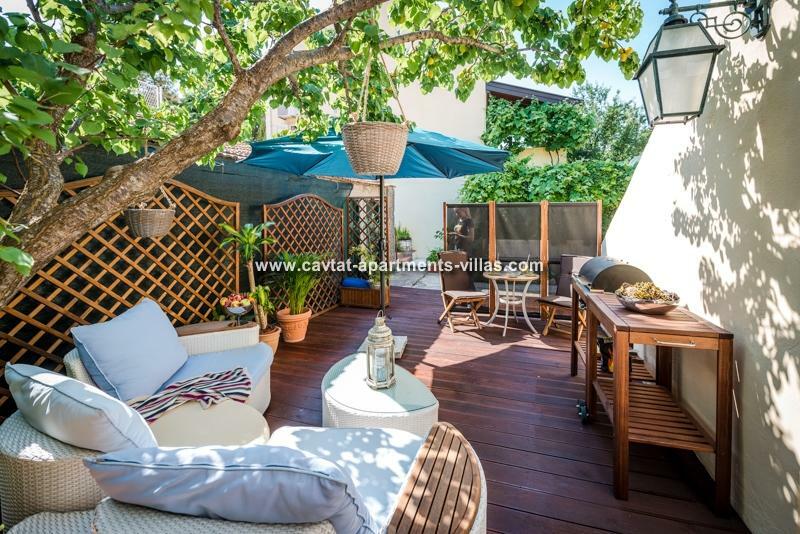 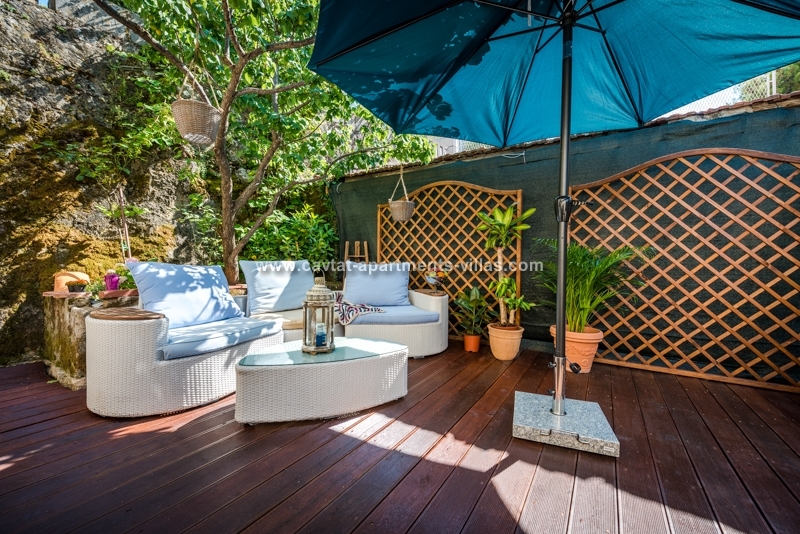 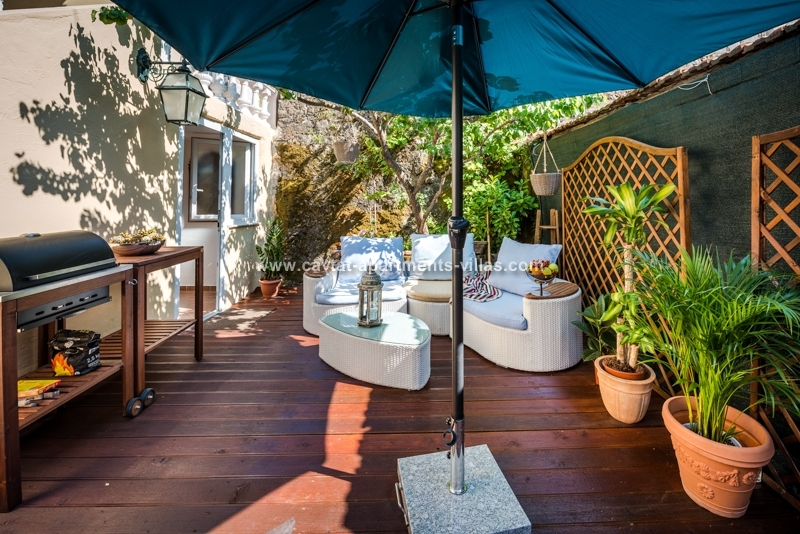 The apartment it entered form a good sized private patio that has a lovely tree stretching over it and providing lovely shade in hot summer days for full relaxation on the comfortable outdoor furniture, outdoor dining or preparing food on the provided BBQ. 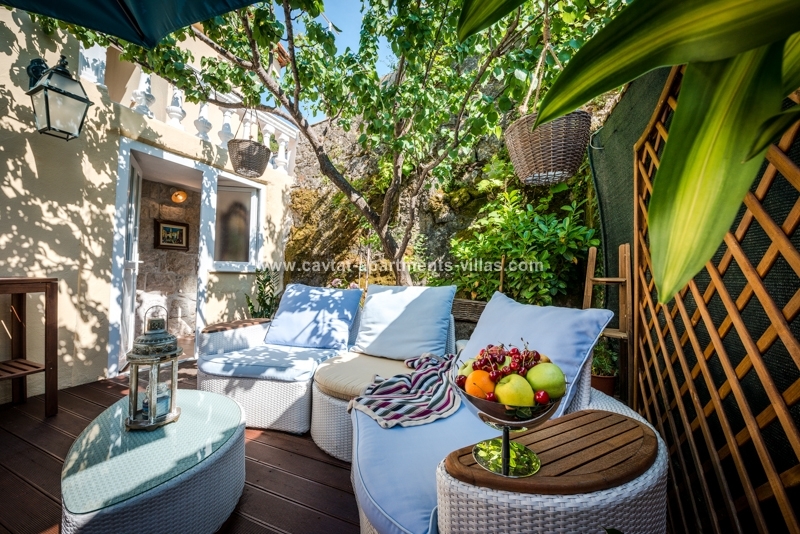 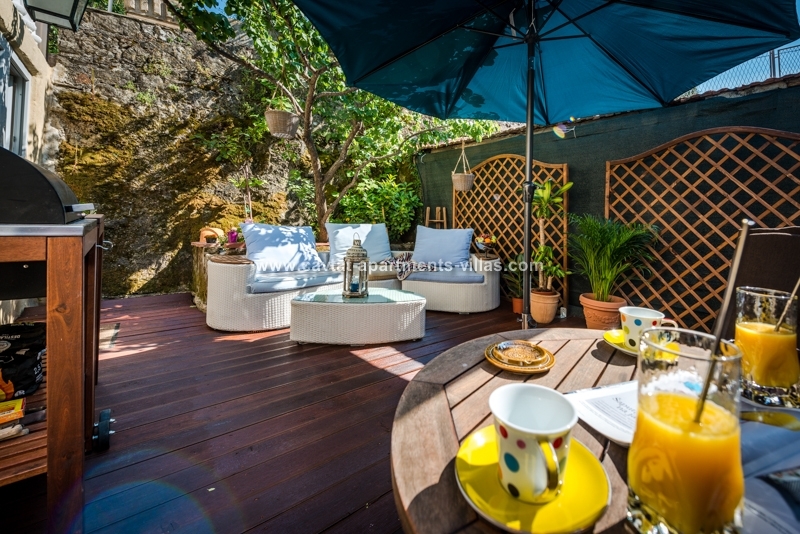 From the patio you enter a small entrance hall leading to the charming air conditioned fully equipped kitchen/dining and lounge area with Sat.TV and a pull out sofa that can be used as a sleeping place for 1 person, from where you enter the double bedroom and shower room. 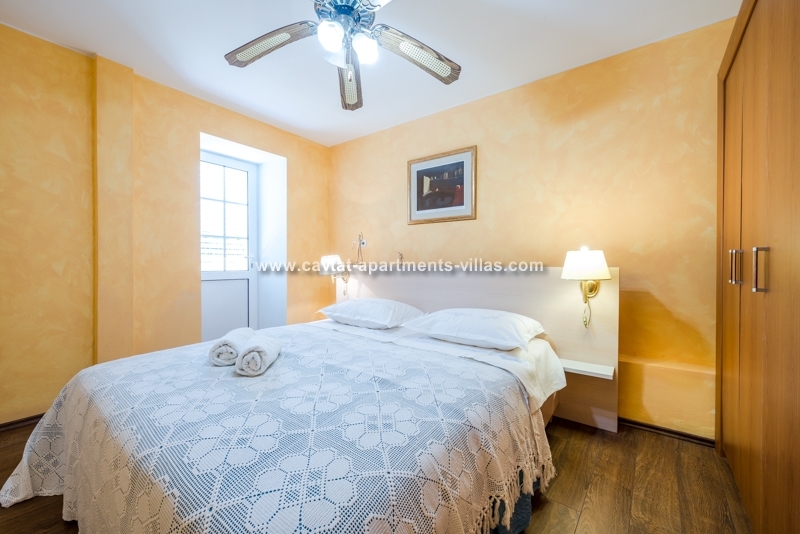 Free WiFi covers the whole apartment. 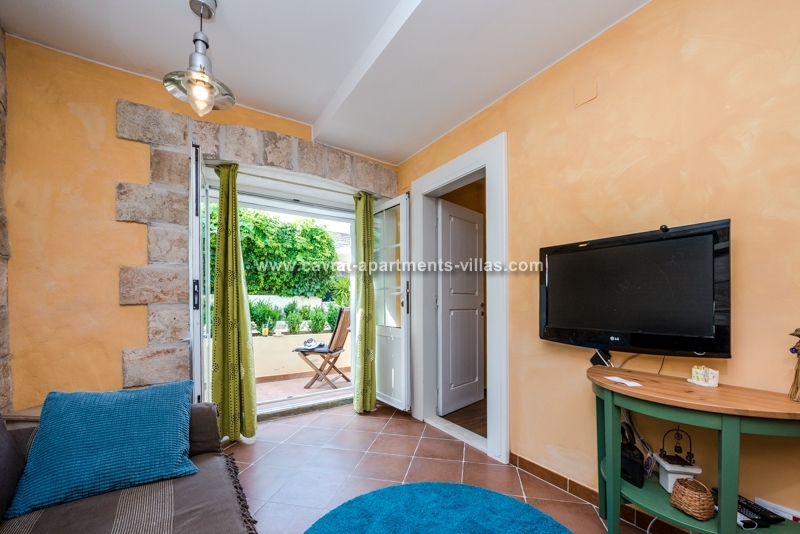 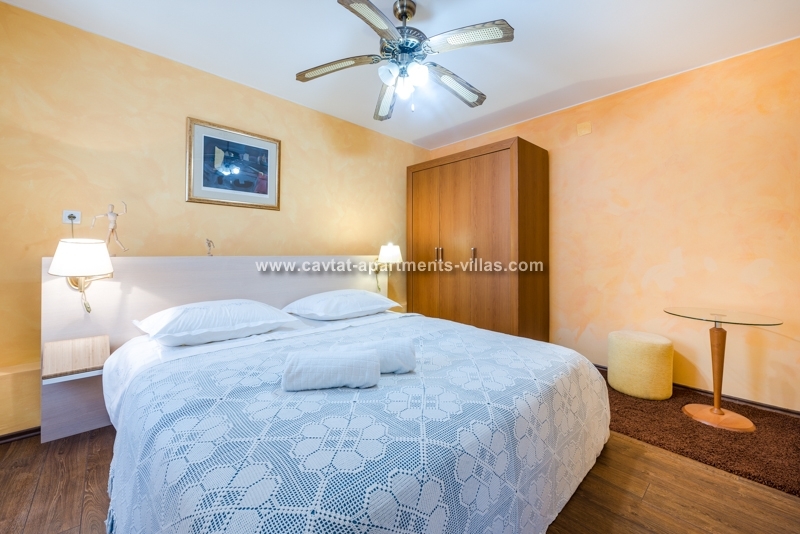 The apartment would be perfect for a couple of a family with a child looking to stay in a modern accommodation within a short walking distance form the main promenade, beaches and important amenities.